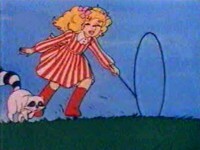 Candy Candy' s musics are composed by Takeo Watanabe. 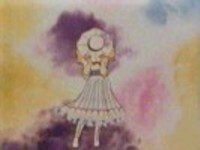 The opening and the ending songs are sung by Mitsuko Horie and their lyrics are written by Kyoko Mizuki. Here is a little biography of Takeo Watanabe: he was born on April 16th, 1933. He is the son of Urato Watanabe, a famous composer known more for his classical musics and the movies' musics. At the age of 23, after obtaining a diploma of Economy at the university of Musashino in Japan, Takeo went to Paris in order to learn music. 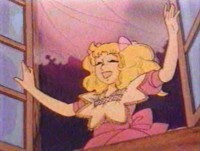 At the end of the 6O's, he began to compose for big animation studios in Japan. He worked a lot for Toei Animation especially. He composed a lot of musics for animes like Heidi (1974), Candy Candy (1976), or Georgie (1983), but also for movies, TV movies and Japanese radio-dramas. Takeo Watanabe died at the age of 56, in June 1989, as effects of cancer. 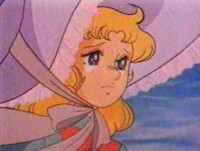 Say "Good-Bye" to your crying face, isn't that right, Candy, Candy?